Around Christmas time, I had a makeover session at a Boots Smashbox counter with a friend. We were both SO impressed by the products used on us, we both went back. 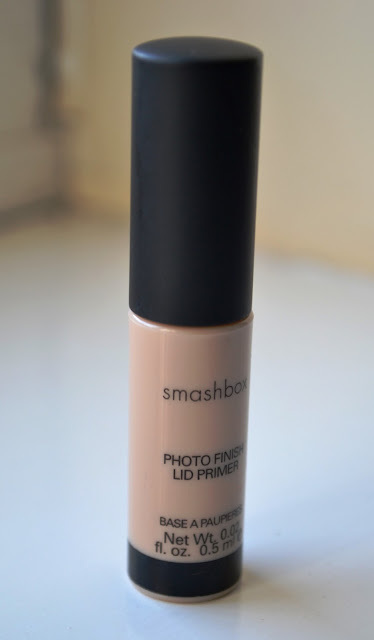 I'll be honest I've never tried a lid primer before (blasphemy, right?!). I used to just put my eye shadow on and go about with my daily life, accepting the fact that a couple of hours later, my eye shadow WILL accumulate in the creases of my lid. My eye lids are possibly THE most oiliest part of my face. So, you can imagine my surprise when this didn't happen after a full day of shopping! I had to have this! 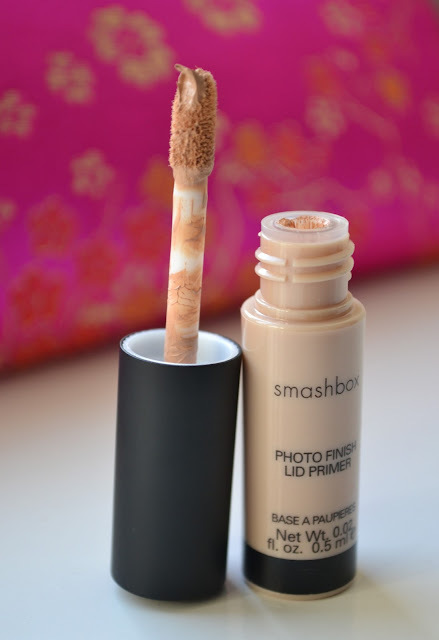 This is from the Smashbox Try It Kit, available here. I'm sure there is a bigger size available. Take home message? I've been converted! From now on, I shall never even think of putting eye shadow on without a primer. What is your favourite lid primer? I loved reading this piece! Well written about eye shadows.